I was born in Carlisle in 1955. 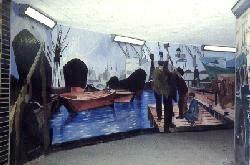 I studied at the Falmouth School of Art and have been painting large scale murals since 1978. 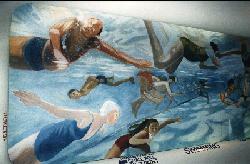 I have extensive experience in the design and implementation of large scale community art-works. Community art has been a consistent theme throughout my work and I have endeavoured to reflect and involve members of the community in the production and conception of the paintings. This involves coordinating and running art workshops and teaching specific art skills on a regular basis. I also work in mosaics and ceramic tiles and design artistic gardens. 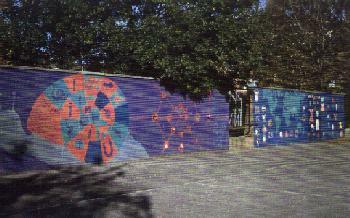 Please contact me if you would like to discuss requirements you have for any public art project.